Diamond is the hardest substance ever known. But coatings, products and other materials used to enhance its appearance can be washed away by the use of harsh cleansers and vigorous scrubbing in everyday wear and tear. Like any other gemstone, diamonds can loose their luster if not taken care. Products like lotions, styling gels, cosmetics and everyday grime can accumulate as a thick layer of gunk at the back of a diamond. Therefore it is of utmost importance that one cleans the diamond regularly and safeguards its beauty. Make a warm solution of mild liquid detergent with water and soak your diamond jewelry in it. You can use any detergent available at home but ivory dishwashing liquid is an ideal option. Brush off the dirt with a soft tooth brush- Remember hard bristles can damage the diamond and scratch jewelry's metal setting, therefore use only soft brush. Swish the jewelry around in the solution and rinse it properly under running warm water. Remember to close the drain or put the jewelry in a strainer to prevent its loss. Wipe the jewelry with a lint-free cloth. 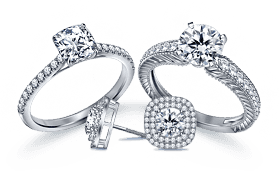 In case the jewelry requires extra cleaning, use Waterpik where under a stream of water small bits of grime can be easily washed away. Toothpick can also be used to push away the dirt- Be careful not to damage the diamond in this process. 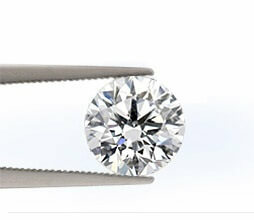 Unfilled diamonds free of fracture can be cleaned in a solution of ammonia and water. Use gentle liquid detergent solution for fracture diamonds as ammonia can create cloud or remove the polish of the diamond. Cleaning multi gem jewelry requires extra care. Always take special care of the weakest element. 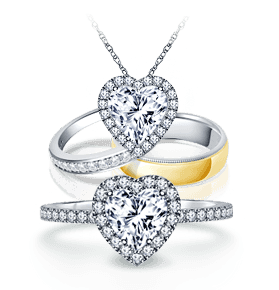 Get the jewelry cleaned by the dealer, which is suitable for the weakest gem always. Safest of all, use the Waterpik technique. 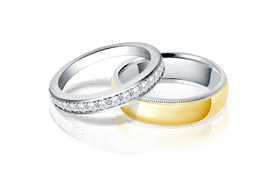 Chlorine, bleach and other such products can discolor the setting of diamond jewelry. Therefore while working, always be careful and avoid jewelry contact with such harsh materials. Even though diamonds are very hard, rough handling can chip its corners. Never place two or more diamonds together in a box- as they can scratch each other. Appraise your diamond piece regularly. Showing it to a jeweler on regular basis will help avoid loss due to loose setting, while polishing will help maintain its shine forever.